This new collection from Villeroy & Boch embraces classic elements from styles of the Modern Age, incorporating Art Deco-style geometric contours with clearly defined edges into the designs. Perfect for luxury new developments, this inspirational range exudes a richness and decadence befitting to high end homes. 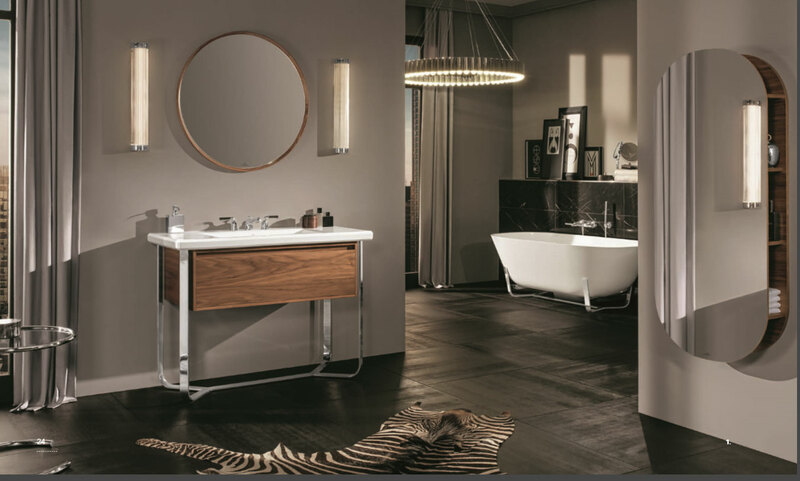 Within Antheus you’ll find a complete bathroom collection, from bathroom ceramics to elegantly designed cabinets. 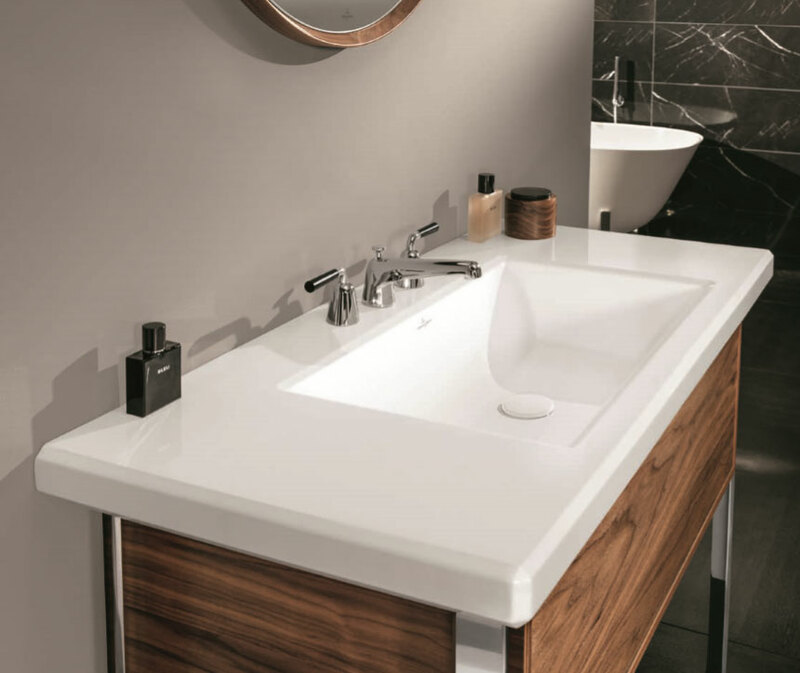 The premium materials include the finest Quaryl, polished stainless steel, elegant marble and beautiful wood, bringing together a beautiful range that offers impeccable modern style. Sophisticated storage solutions and carefully designed ceramic pieces that makes an elegant statement, the new Antheus range gives the impression of both lightness and a timeless classic. Available for 2018, Concept can pre-specify the range this year – by forward specifying these products, we’ll always have a fresh up-to-date look for new houses coming to market for developers. For true decadence in new high end developments, Concept can help bring in top level products and use our experienced, in-house designers to create a bathroom that functions perfectly while exuding luxury. This entry was posted in Luxury Bathrooms, New Products, Villeroy & Boch and tagged Antheus Collection, Antheus Collection From Villeroy & Boch, bathroom designers Henley on Thames, bathroom designers maidenhead, bathroom designers Marlow, bathroom designers virginia water, Bathroom designers Weybridge, Hi End Bathroom Designers Beaconsfield, Hi End Bathroom Designers Oxshot, Latest bathrooms for luxury developments, luxury bathroom, luxury bathroom design, Villeroy & Boch, Villeroy & Boch for luxury developers. Bookmark the permalink.